This table is 100% custom and no two are alike. 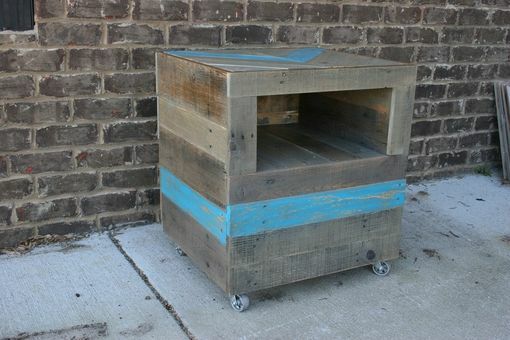 Made from salvaged material and has 2" iron casters. Shelf has a single shelf for hiding or displaying items. 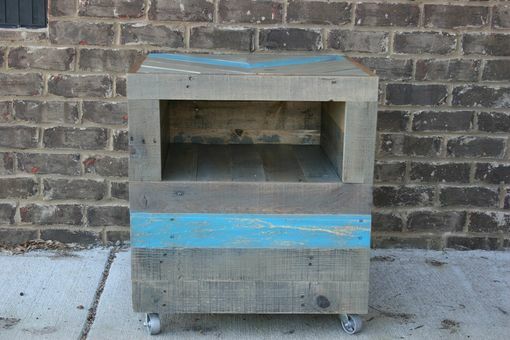 We can customize to your decor, let us know how you want it; stained, painted, different colors, etc. 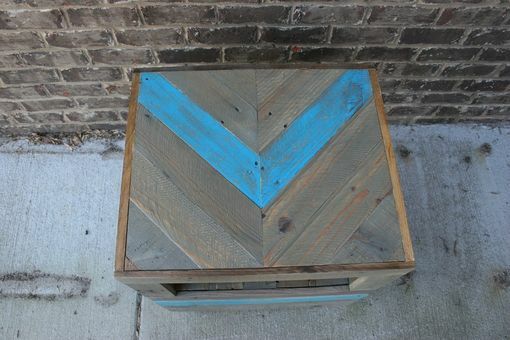 The chevron top adds a great dimension to this table.